The first few minutes of any medical emergency are the most crucial….lives are literally saved or lost within this critical time frame. Unfortunately, even in the best emergency medical systems, trained responders will not arrive for approximately eight (8) to ten (10) minutes. This means that it is crucial that persons immediately on the scene; bystanders, friends, family, neighbors or associates provide immediate and live-saving interventions. These interventions, properly utilized and applied, can literally save a life or stabilize a life threatening emergency until professional responders arrive. Our emergency medical training, taught by experienced instructors, gives YOU the necessary training to react to any medical emergency. We offer all levels of first aid, CPR and AED training. Code Red Training Inc. is proud to be authorized by the National Safety Council to teach "train-the-trainer" courses which allows us to certify instructors in emergency care programs. We also offer courses in Oxygen administration and Bloodborne Pathogens. Give us a call to discuss your training needs. When minutes count! At Code Red Training Inc., we take care to provide our customers high quality services personalized for their unique needs. We are available to meet with your team to discuss your needs. We will bring our programs to you., at your convenience. 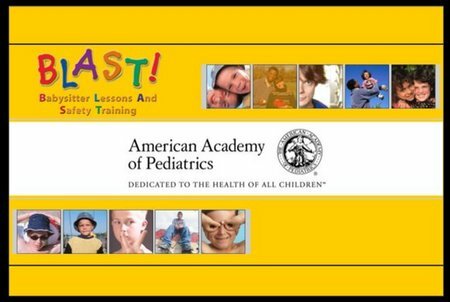 BLAST is an important training program for potential babysitters and parents considering hiring a babysitter. The BLAST program is exciting and interactive, providing extensive training in pediatric first aid, household safety, and the fundamentals of childcare. Designed for people ages 10 and older, their parents, and parents looking to hire a babysitter, the BLAST! program can prepare children to interview for a babysitting job, select safe and suitable games and activities, prevent accidents, perform first aid, and begin babysitting safely and competently.